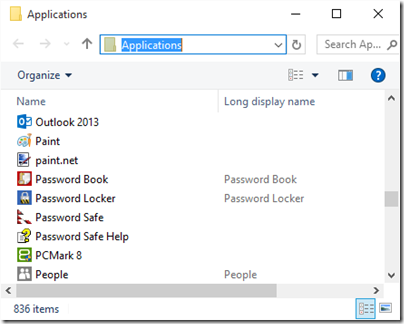 There are a couple of issues with the Start menu in Microsoft’s just-released Windows 10. One is that some sort of bug means there may be missing entries. Second, the All Apps list is not great for navigation even when it is working. There are two many clicks: click Start, click All Apps, click a letter or start scrolling, maybe expand the folder you want, and you eventually get there. I have upgraded my own desktop PC to Windows 10, which was running Windows 8.1 Enterprise. The good news is that the upgrade went smoothly, but unfortunately I have run into this bug and some applications are missing from the All Apps list. 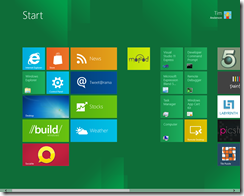 I am reluctant to install a third-party Start menu like Start 10, though this is a good solution for many users, since I like to keep Windows as plain as possible as well as tracking changes Microsoft makes to the user interface. How than can I retain easy access to all my applications until this bug is fixed? The first location is for applications available to all users of your PC, while the second is per-user. I combined these in a new library which I called Store Complete and was initially pleased; all the shortcuts were there. 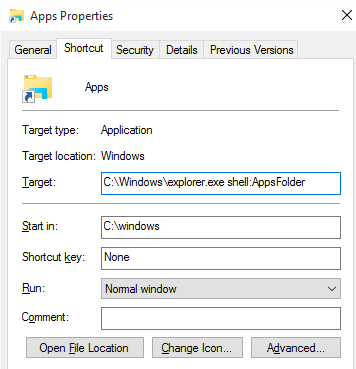 Except they were not: I realised that my new Start folder did not include any Store apps, since the shortcuts for these are handled differently. I called the Shortcut Apps but you can call it what you like. 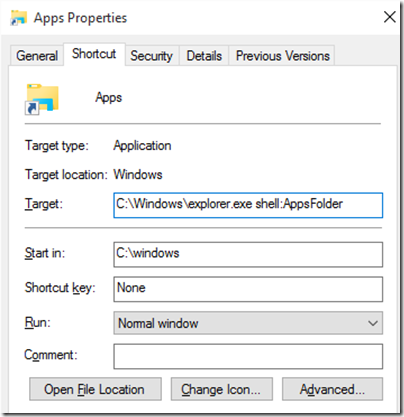 This creates a folder with shortcuts to all your applications, both Store and desktop apps. The snag: they are all in a single list, whereas the Library approach preserves the hierarchy if an application has several subfolders of shortcuts (like some developer tools). 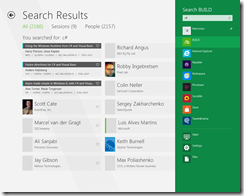 Scrolling through this list is a little tedious, but it also has a search box which works. Not ideal, but a workable alternative. Note: I tried pinning this folder to the Start panel but that does not work. However you can pin it to the taskbar for quick access. Note that this is not part of Windows 8.1 Update 1 (about to become available) but rather a future Windows 8.1 update. It will be free to all users. The Start button was re-introduced in Windows 8.1, but only takes you to the Start screen. This new one runs entirely on the desktop. Another key new feature in this future update is the ability to run universal Windows apps (which are Store apps) in a window on the desktop. The plan to make Windows 8 a more compelling update for desktop users, and to promote Store apps to users who use keyboard and mouse and mainly desktop apps. 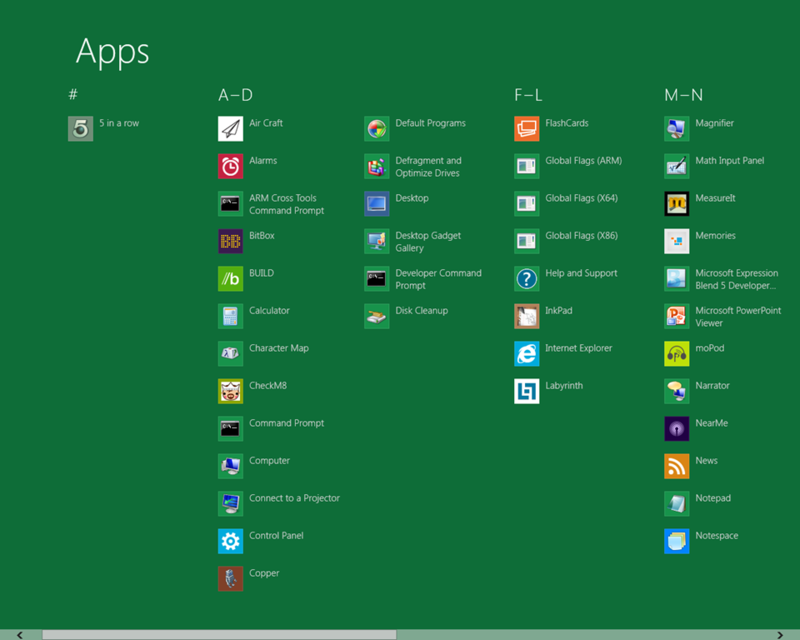 I’ve been spending some time in Windows 8, complete with the Metro-style Start menu. 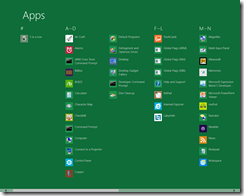 The new Start menu is not great in a virtual machine without touch. You have to navigate with the horizontal scroll bar at the bottom of the screen, which I find somewhat jerky. DirectX is not particularly fast on the VM, which I view using Remote Desktop. 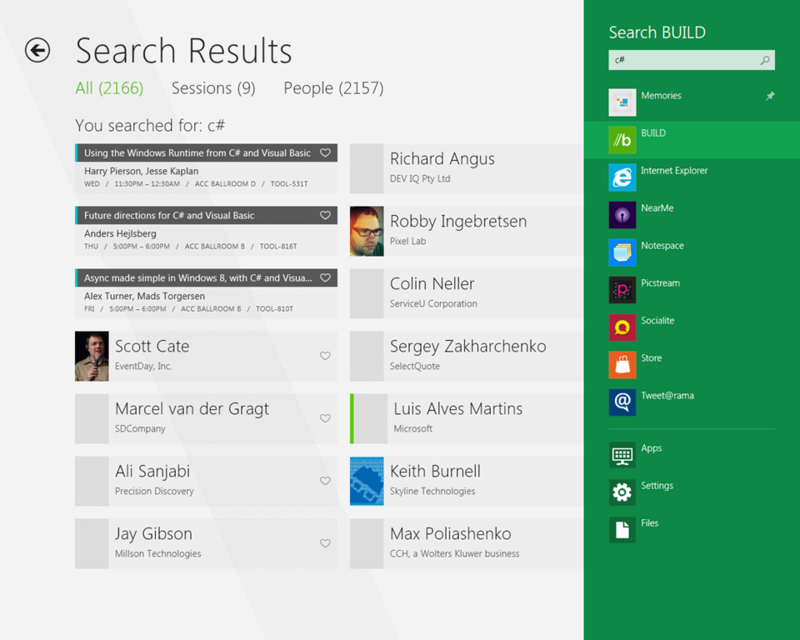 Another puzzle is that many apps are not represented by tiles on the big menu. How do you find them? 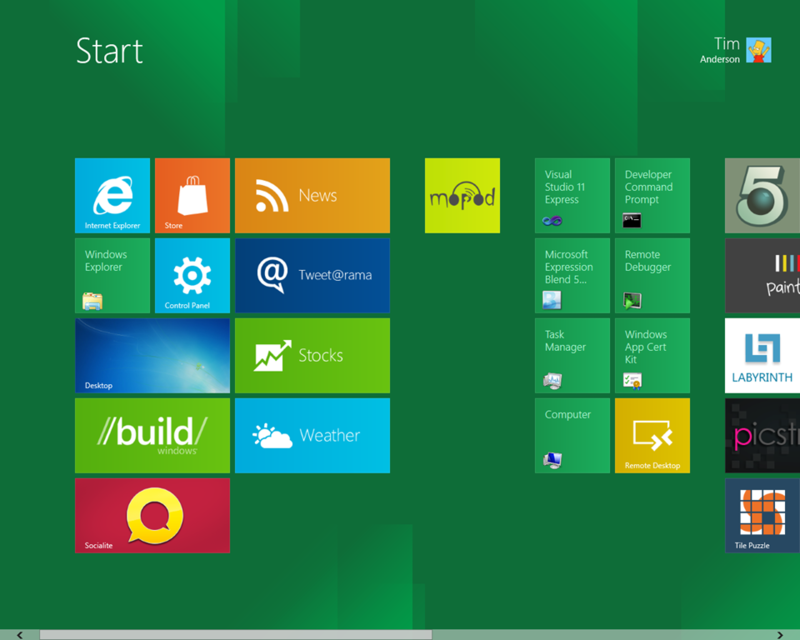 The answer is that the tiles are not exactly equivalent to the items on a Windows 7 Start menu. 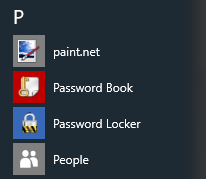 They are more equivalent to the items that you have pinned to the taskbar in Windows 7; and in fact, if you pin an app in Windows 8, it appears as a tile. 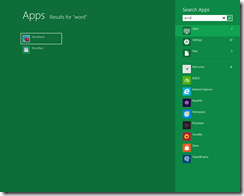 To get the full list of Start menu items you are meant to start typing. 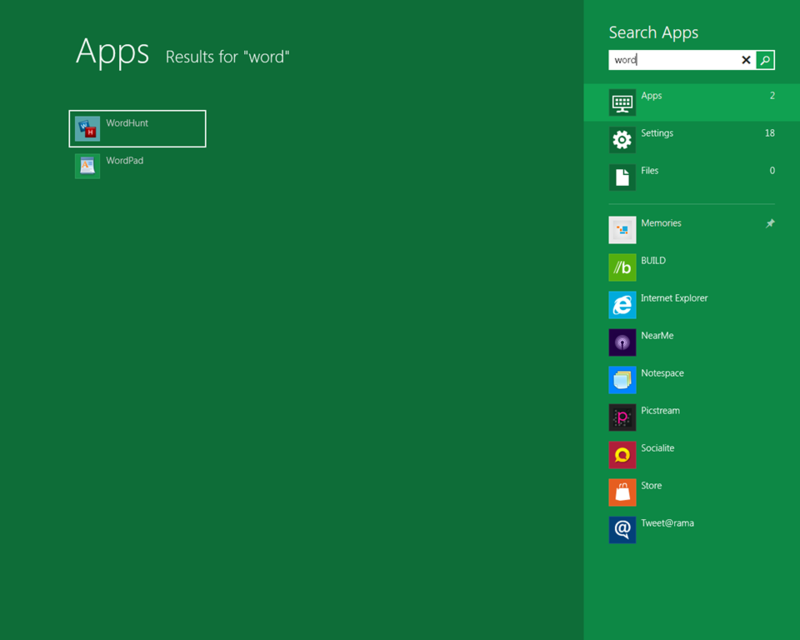 When you press a key in the Metro Start menu, the tiles disappear, and you get a list of all the apps that match what you have typed. The match seems to be based on words with initial letters that match your string. So if you type CL you match Disk Cleanup, but typing PAD does not find WordPad. 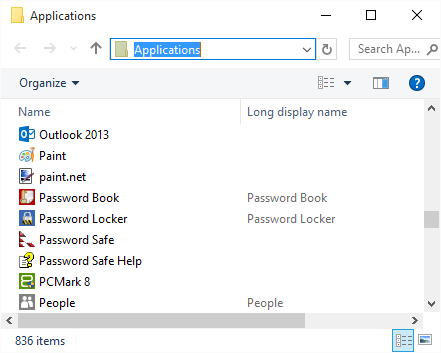 If you press Windows key – Q it brings up the Search Apps screen with an empty search box, and lists all your apps in a columnar A-Z view. Now, the thing that gives me hope here is that the search is very fast, much faster than I am used to with search in the Windows 7 start menu. It could almost convert me. One other thing: “All Apps” is not really all apps, of course; just the ones that would have been in the Windows 7 Start menu. 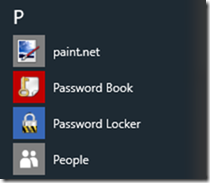 If you want, say, Dxdiag, you will have to press Windows Key – R and type it in there. It would be nice if typing DX would find it, but it is not that smart unfortunately (update – but see comments below).